Part of the charm of a fireplace is the view of the flames dancing. The color changes, and movement of the flame can be hypnotic. Blackened glass obscures this interplay and interrupts your visual enjoyment. A blackened glass fireplace door is usually the result of soot buildup, indicating that the fuel being used in the fireplace is not burning completely. Soot buildup is due to incomplete combustion. 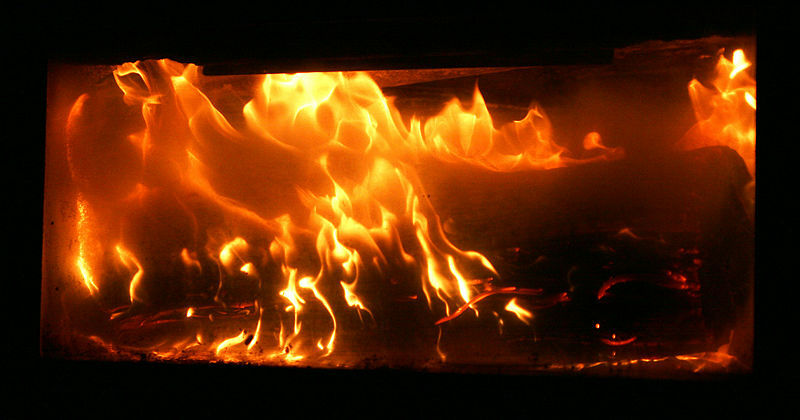 Propane fireplaces can become sooty for two main reasons: improper air-to-fuel ratio or bad fuel. The air-to-fuel ratio can be changed by malfunction or an obstruction of the tank regulator, primary air shutter or the flue. The wrong ratio can also be caused by incorrect positioning of fake logs around the gas nozzles. The logs can partially impede the flow of air to the gas nozzles, preventing complete combustion of the gas. Propane tanks in North America can contain a small percentage of the heavier gas butane, which usually settles towards the bottom of the tank. Butane does not burn as cleanly and efficiently as propane; more air is required for complete combustion of butane than propane. 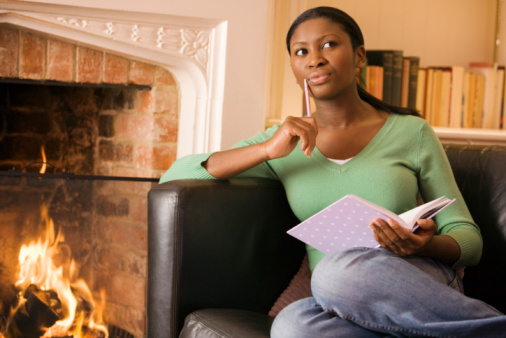 Soot buildup in fireplaces that use natural gas for fuel is also largely due to an improper air/fuel ratio. However, with natural gas as the fuel, you don't have to worry about old fuel or butane. Natural gas fireplaces are connected to the house's gas lines and generally receives "fresh" gas. 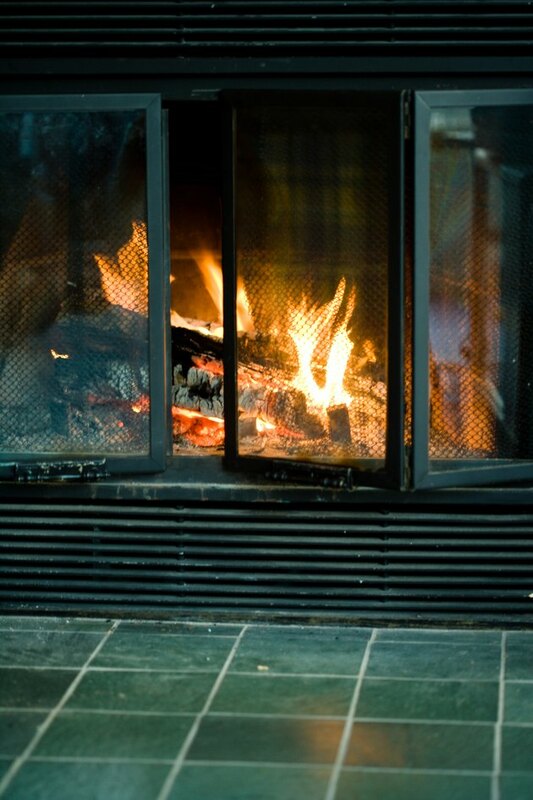 If you notice soot buildup on the fireplace glass, check the position of the ceramic logs. Ensure that the logs are in the position recommended by the manufacturer and that the burner ports are unclogged. With wood burning fireplaces, you must ensure that the dampers/air controls remain open until the fire is well established, which will give your fire enough air to ensure complete combustion. Also, adequate kindling and fuel must be used to start and maintain your fire. It must be dry and well seasoned for the most efficient burn possible. The chimney should be clean and unobstructed to allow what little smoke is produced to escape. Cleaning the soot from the glass can be somewhat of a headache. You can use a commercially-prepared cleanser or moist newspaper and wood ashes to clean the door. The best fireplace door cleaners are usually in paste form. Whether you use a cleanser or newspaper and ashes, scrub the glass using small circular strokes. Allow the glass to dry, and buff with a clean cloth.